What is True On Average For a Group Isn't Always True for Its Members - Fact or Myth? What is true for a group on average isn't always true for its members. What is true for members of a group on average isn’t always true for individuals in those groups. In other words, despite our inherent tendency to make generalizations about groups of people based on past experience (we are biased based creatures who create generalizations as a means of efficiency; see implicit and explicit bias), it is important to remember that our generalizations about groups don’t always apply to each member. Said simply, we must remember people aren’t groups and groups aren’t people (and what we know about a person doesn’t always apply to a group, and vice versa, what we know about a group on average doesn’t always apply to every member of that group). Cultural Dimension: me or we. In other words, what is true on average for a given population doesn’t necessarily tell us anything about a specific person within that population (unless the group is being grouped by a specific defining property, or set of properties in common; for example, “a group of left-handed people are all left-handed”). Meanwhile, the false belief that what is true for a group on average does necessarily tell us about a person in the group is prejudice and can lead to discrimination (if we don’t keep our bias toward generalizing about groups and people in check). That may seem obvious, but our natural reasoning, neurology, and bias is constantly working against us in this respect. Our neurology wants life to be black and white, to be simple, but life is a complex matrix of grey areas none-the-less. It is human nature to generalize and form biases based on experience. If we see enough instances of people in X group having Y features, our brain will quickly form a bias (a generalization that tells us to expect a given person in that demographic will have Y features). This is great when we are dealing with “fire, hot, don’t touch”… we thrive and survive based on this. However, this isn’t great when dealing with perceived biases about “women and STEM (Science, Technology, Engineering and Math)” or when dealing with say “others” from a nativist nationalist perspective. In these cases we may make sweeping generalizations about our in-group (a group we are a part of or identify with), and about out-groups (those we don’t identify as being a part of or aren’t a part of), and therefore act with prejudice both toward our in-group and out-groups (which most of us would say “isn’t good”). The trick to countering this, often called “checking one’s self,” is as simple as checking our bias. To check our bias, it helps to realize how inductive evidence works and how our neurology is primed to use inductive evidence to make sweeping generalizations (useful for “fire hot,” but not for some key social settings). Cognitive Biases 101, with Peter Baumann. When we see instances of something, we form generalizations, that is natural and useful… in general (getting meta there with the generalizations). However, this useful skill actually flies in the face of other aspects of logic. The reality of the world is that observations of instances NEVER tell us what is true about a class of things with certainty (unless it is that we have observed every member of a group). The best we can do observing single instances is make a well-proven theory that predicts behavior. In physics we can out-put a useful rule like F=ma. In social science however, theories tend to look more like “on average women and left-wingers tend to be more compassionate” (let’s pretend that is true for the sake of example). See how the implications of the above two theories are different, and see how even if we assume both are true “on average” it does not mean they are in all specific cases no matter what? It is interesting to say “I read a study that says women are compassionate on average,” but it is rather offensive to assume a woman is compassionate just because she is a woman. For another example, if we observe that 99% of humans are mortal, and we observe every human we meet is mortal, we can safely say “it is a rule, all humans are mortal.” However, we don’t actually know that for sure. All we know is that all the humans we observed were mortal. The theory hasn’t been proven wrong yet. If we find that, on average X group tends to have Y quality on average, after careful testing. We can cite the peer-reviewed data that shows this… and we can make reasonable assumptions about group behavior based on this. We are not however well advised to use this data to make assumptions about individuals. 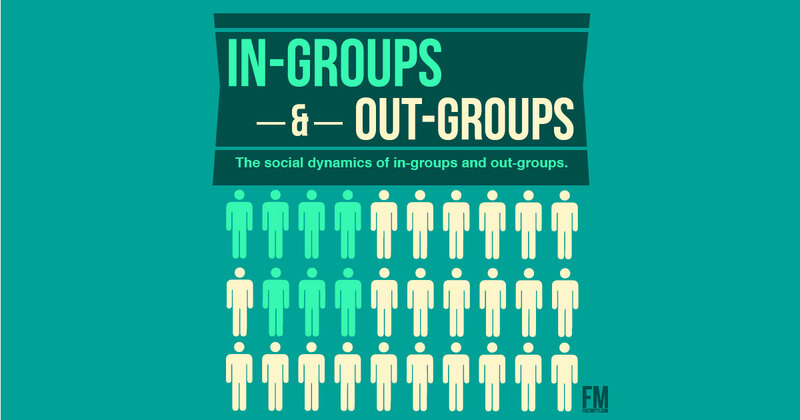 Yes, every F equals ma, but not every person is an average member of a group! Perhaps the AVERAGE member of X group will tend to have Y quality according to data, but what about a specific member or a sub-group of X? Perhaps that sub-group not only doesn’t have Y quality on average, but perhaps they are actually less likely to have Y quality than other groups. Perhaps the peer-reviewed study we are citing turns out to be wrong. Perhaps a better theory comes along anyway. How to Argue – Induction & Abduction: Crash Course Philosophy #3. What if we want to create a group that has a mix of qualities?… but don’t want to make prejudice assumptions about individuals based on groups. Picking randomly from a group isn’t enough to ensure the desired outcome in every respect, even if we know what will happen on average, we don’t have a way to tell what will be the case with a random sample. This sort of process of generalization and discrimination doesn’t speak to prejudice discrimination (in intent), it speaks to the discriminate and selective approach we may need to take to ensure a diverse group (something that might actually combat prejudice as an “ends”). The mechanics of dealing with that duality are complex, but that general takeaway isn’t. What I’m saying here simple, we should refrain from our natural tendency to make sweeping generalizations about people based on generalizations we have made about groups… but we shouldn’t be afraid to use the powers of human reason to be discerning when aiming toward positive ends. While generalizations about groups can be useful and based on solid inductive evidence, generalizations about individuals based on generalizations are a root of prejudice in its most real and plain sense. Yet, for all that warning, in real life situations we do sometimes want to be selective and discriminate. Again, if i’m trying to build a team that is diverse, I very well may have to discriminate to create that diversity. This complex tension doesn’t make things easy, but it is the case. Still in all this, while it is hard to refrain from unjust implicit bias, we can all refrain from unjust explicit bias… even when employing just bias. To do this starts by treating groups as groups and people as people, and avoiding the natural urge to conflate the two. TIP: An individual is not a group, and a group is not an individual. Consider further, a group is only a collection of individuals and only individuals can physically act. It can help to understand group dynamics, but ultimately only individuals act. We should thus base judgements not on groups, but on individual merit. Given our inherent bias this isn’t easy, but it is none-the-less a fundamentally important lesson to learn (and one that, given our neurology, we should generally remain conscious of as we “check our bias” in everyday social reactions). Just because something is true for a group of people on average, doesn’t mean it’ll be true for a given individual in a group. We should always base judgements on individual merit, not on generalizations made about a group a person is a member of. With that in mind, there can be a number of valid reasons to consider people as groups (such as in the case where a company wants to increase workplace diversity).